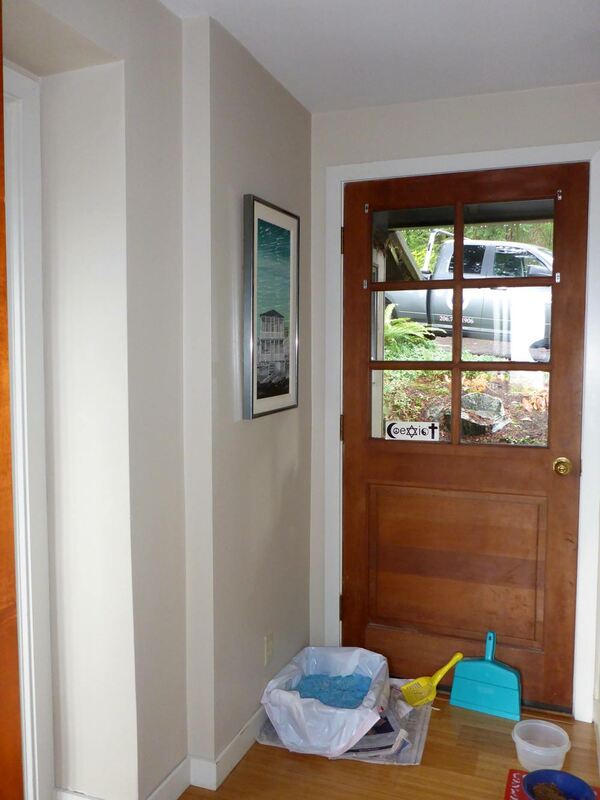 With most of the house receiving a make-over, it seemed befitting to give the laundry closet an update. 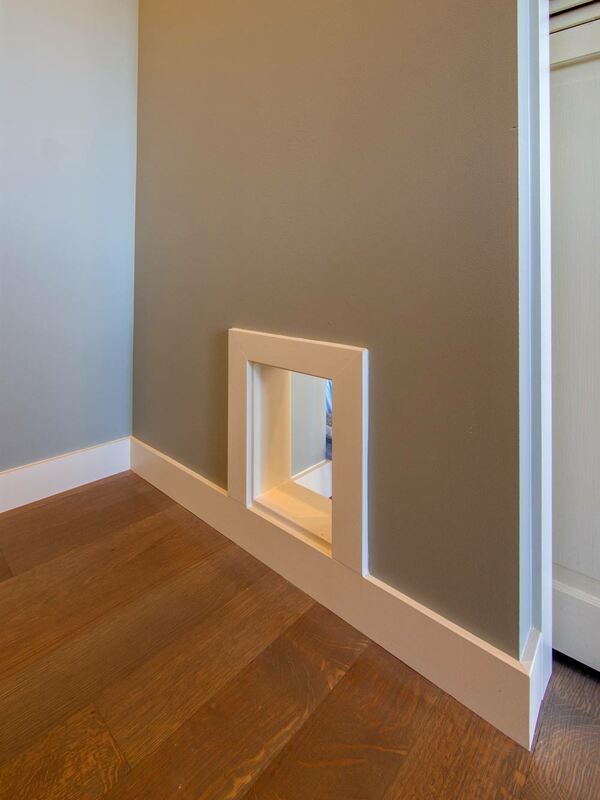 The homeowner's primary objective was to relocate the cat litter box which was just outside the newly located bedroom door. By stacking the machines, there was enough room for a small counter for folding, a drying bar and a few more accessible shelves. 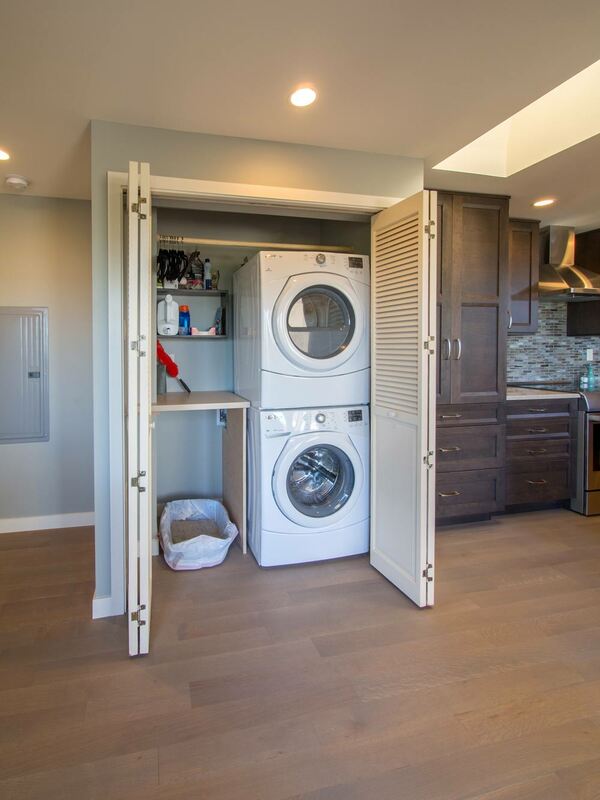 The best part is there is now also room for the cleverly concealed kitty litter box. 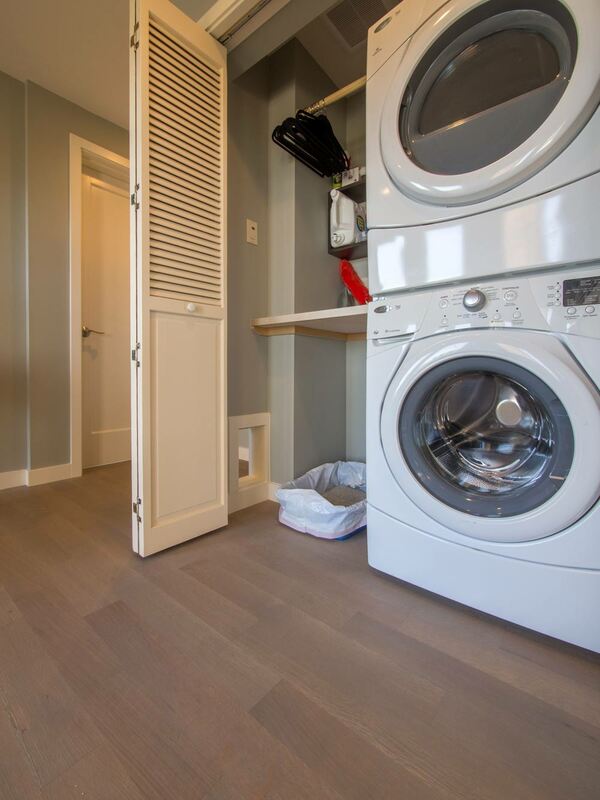 Note that the support panel for the countertop has been notched out in the back to provide easy access to the water shut off to the clothes washer.